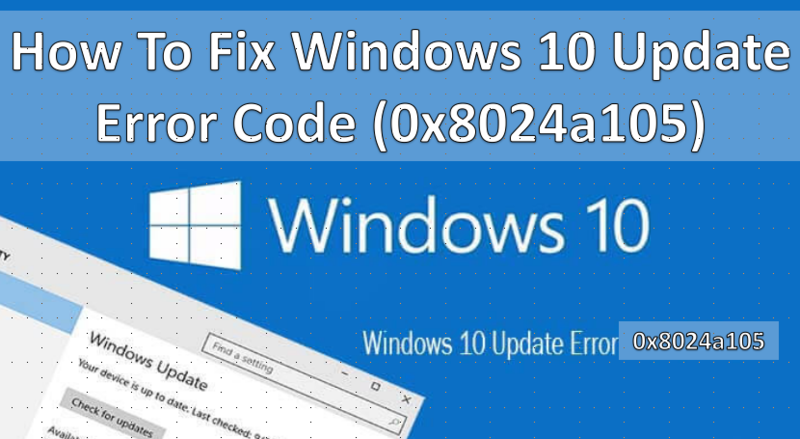 If you see this Windows Update Error Code 0x8024a105 when trying to run Windows Update, then this short article will gives you best way that may help you fix this error issue. However when you will try to run the Windows Update, you will see this following message:- There were problems downloading some updates, but we’ll try again later. If you keep seeing this, try searching the web or contacting support for help. This error code might help: (0x8024a105). 1. Reboot: It’s not surprising to find a reboot works. Often, Windows will continue the update during the reboot so it could take a while. 2. Change Your Internet Connection: If rebooting didn’t work then do switch internet connections. In other words, if your internet connection is wired, connect VIA wireless and if it is already wireless, connect with a Cat5 cable, if possible. This way fixed the problem for the majority of people when rebooting failed. 3. Delete the Software Distribution Folder: Startup PowerShell as admin and type in net stop wuauserv followed by net stop bits. Now browse to and select C:\Windows\SoftwareDistribution. Use CTRL+A to highlight the entire folder and press the delete key. This article is pretty simple to understand the problem of error code and solving it easily. Any doubt regarding this feel free to comment or gmail us at geektechinfo3@gmail.com.